Jonathan qualified in 2007. He is a commercially minded trial lawyer who trained and then qualified into corporate law so has exposure to transactional work. Since late 2008 Jonathan has focused on litigation and dispute resolution work, frequently for banking and other lender clients. He has helped those clients recover significant losses (multi-million) in the past few years, both in ADR and at trial. Jonathan also advises clients with regard to asset recovery and the use of interim injunctions to prevent dissipation. Particular experience in cases involving Fraud / Deceit, Injunctions and enforcement or recognition (including Worldwide Freezing Orders, Search and Seizure Orders and Norwich Pharmacal Orders), issues around Disclosure / Electronic Disclosure, ADR, Arbitration and Mediation. Acted for the claimant bank in an Ijarah enforcement claim – Mashreq Al Islami Finance Company PJSC v Mr Babar Rehman  DIFC CFI 016. Acting for the Defendant – GlobeMed Gulf Healthcare Solutions LLC v Oman Insurance Company PSC  DIFC CFI-015 (ongoing). Acted for the Claimant bank following breach of a facility agreement in Fimbank P.L.C T/A Fimbank Plc (DIFC Branch) v Aos Trading DMCC  DIFC CFI-079. 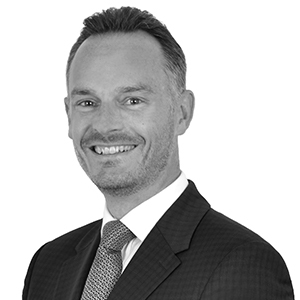 Acted for the claimant lender in obtaining a worldwide freezing injunction – FundingSecure Ltd v Matthew Green . Acted for the claimant lender in a deceit claim – Mortgage Express v Countrywide Surveyors Limited . Acted for the claimant lender in litigation following a commercial property loan – Dunfermline Building Society v CBRE Limited .